It was such a busy week! 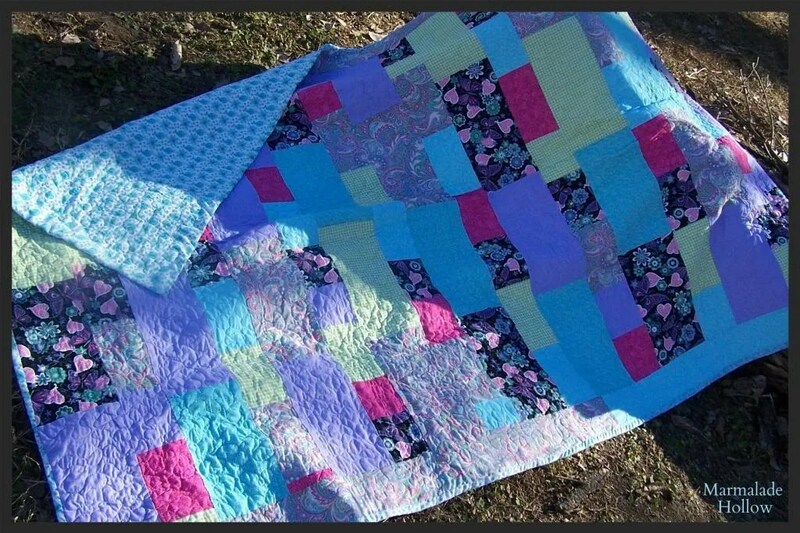 I managed to finish Rachel’s quilt for her 10th birthday, a project that’s been 2 years in the making. 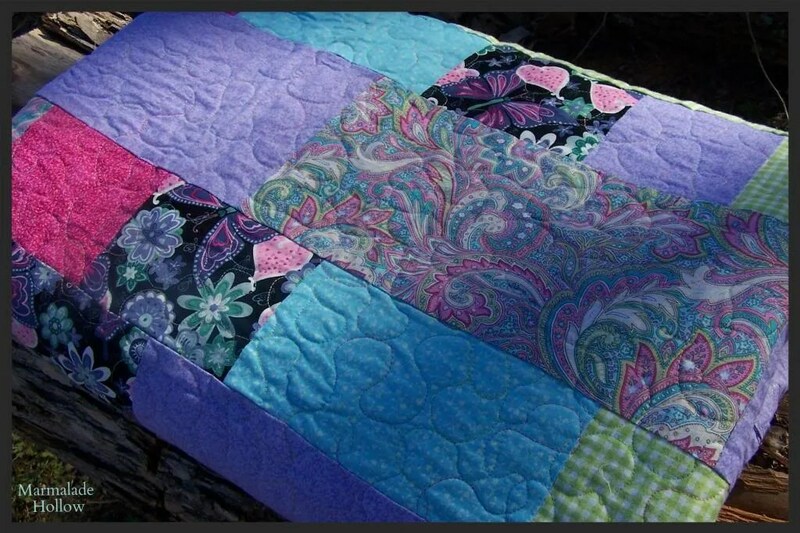 I fall into UFO (unfinished object) funks and quilts in particular fall to the wayside unfortunately but finishing it has given me renewed vigor to finish a few that have been on the back burner. This was a sentiment I heard at one time. I don’t know the author to credit but suffice to say, these are borrowed words. King and Snow doing what King and Snow do. The sun’s out and it’s day time which means they snooze and relax and keep watch. Sunday was gorgeous and the goats were thoroughly enjoying the sunshine. We finally got the round bales off the trailer. The girls had pretty much eaten one entire bale down to 1/4 of what it started as. We unloaded it into the barnyard so they could munch on it. Most of them just turned in into a cozy bed . Most of the does are bred, some further along than others. It’s a time of growing good healthy babies! While there isn’t a whole lot to eat from the looks of it, the pigs enjoy nibbling the grasses and rooting up tasty things. Ann is due to farrow around February 14. The chickens still range in the winter and find tasty tidbits to eat, there was still a little snow on the ground last week. Sunday Jeremiah and I finished the greenhouse by installing the back window and the plastic on front and back. 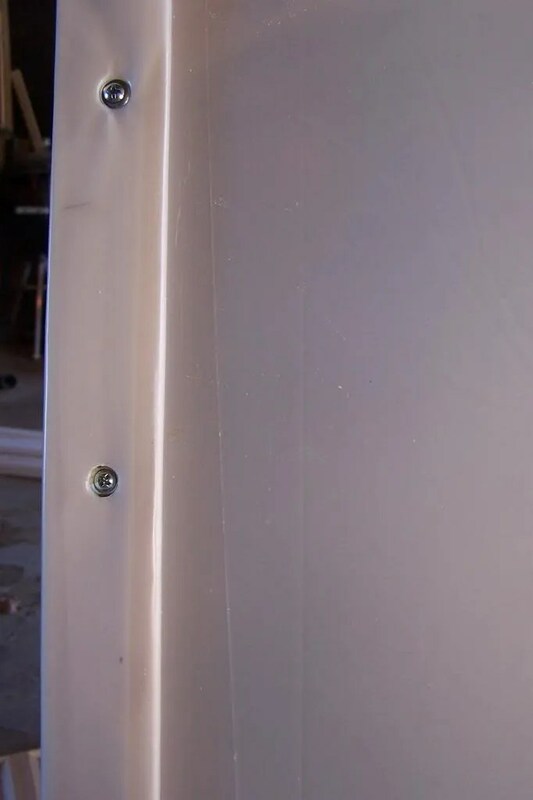 we also put pipe insulation over the end of the panel and maybe that will cause a little less wear and tear. The strips of lumber that the plastic is rolled up in seems to be doing a good job. 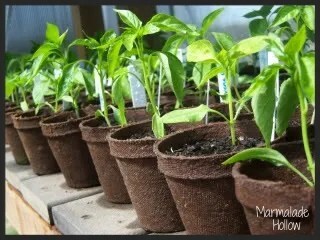 We had some pretty forceful winds last night and all it all looks good.I am so eager to start seeds. I went through what I saved from last year and what was left over. I hope to start a lot of flower seeds this year along with all the veg. Em kidded on Sunday while we worked on the greenhouse. I checked on her every so often. The first kid (boy) was totally breech but he delivered fine. The 2nd kid (doe) was still encased in her sack. I am glad I was there. Usually they are not delivered in their sack and there is no obstruction. When they are, if the doe is not attentive or there isn’t anyone there, they generally suffocate. The 3rd kid (a buck) was delivered about 20 minutes later without incident and Em looks fantastic. Shes enjoying a stall to herself to get to know her kids. I’ll post more photos later, these kids are super flashy! The following photo was not taken last week, but it is a reminder that we have our nuc colonies ordered from Butler Bees. Jeremiah and I are going to tackle the top bar bee hives and leave the langstroth hives to the construction class. Well, there it was. We were at an auction Saturday and managed to bring home a pretty decent haul of lumber, a huge miscellaneous lot of trim/moulding/baseboards, 125 sheets of sheet rock and 13+ new bundles of shingles. I haven’t yet decided if we’ll shingle the new milk house, I’ll have to chew on that some more. We’re trying to stay somewhat color & material coordinated, the shingles on the house are brown, everything else is metal. We’re going with metal. Wordles Wednesday: Egg-spanding the flock! Ahhh, always such great expectations as to what we can accomplish in one weekend. I will say that with really getting into a good cardio routine, I am feeling SO much better! I’m not waking up feeling like my back is about to break, no pain in my hips (probably because my legs feel like they’re going to fall off from the post-workout burn HA HA!) and around about the 3 o’clock hour when normally I would really want to take a nap I am feeling just as perky as the 10 o’clock hour. That coupled with our dietary changes, a week’s time has really made a difference! Thank heavens! Not to mention I am daily getting a good look at the fencing along the property line as I quickly make my way around. I always said I need to check it more. What was fun was seeing it with snow on the ground. There were so many different prints including a bobcat and from the looks of it, he/she was hot on the trail of a bunny. That said, part of our weekend was taken up with a trip to town to the hardware store to gather a few things to fix up the greenhouse. We had also hoped to get wood splitting in there and while the weather was absolutely gorgeous, the prior evening’s rainfall coupled with the existing snow made for a bit of a small lake which made access to the green house a pain! The wood splitter and pile was still covered by snow too so Saturday was kind of a wash. I opted to clean the house instead. It was a good trade, I guess. Jeremiah visited the neighbor to weld a tow bar, I think. Although I think a lot of his time over there was spent chit chatting…and they say women yack a lot! Shew. Sunday we made up for Saturday’s lack of outside work and we got to work ripping the 2×4’s to make the new greenhouse door, and what a mighty nice door it is. We unintentionally framed for a window when we originally built it but covered it up with plastic last year and did not opt for a window. I thought I might like to have a window this year so we can get a bit more air flow in there on the very warm days so we built one of those too. The window isn’t completed yet. We ran out of screws to attach the strips (top and bottom). 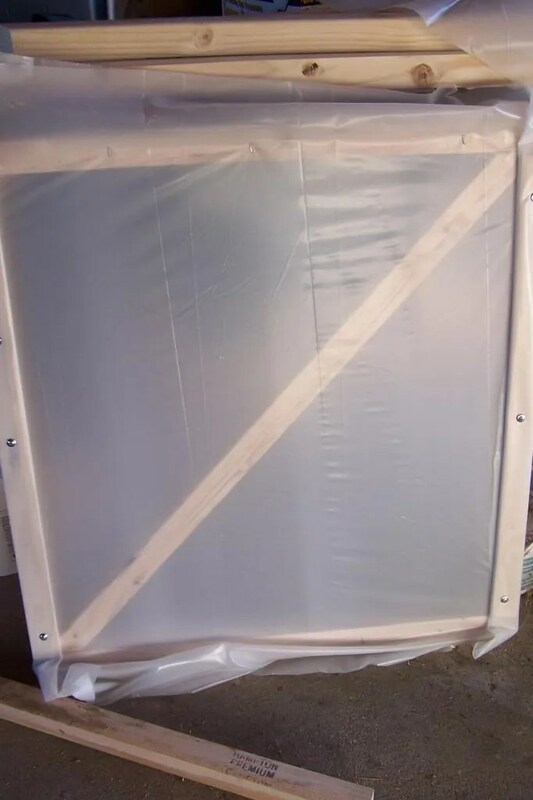 The biggest issue with the greenhouse was the plastic being torn off the frame. We stapled it last year but the wind proved to be too much. Friends of ours mentioned putting up a high tunnel. I looked at the plans for it and took a queue on how their plastic was attached. 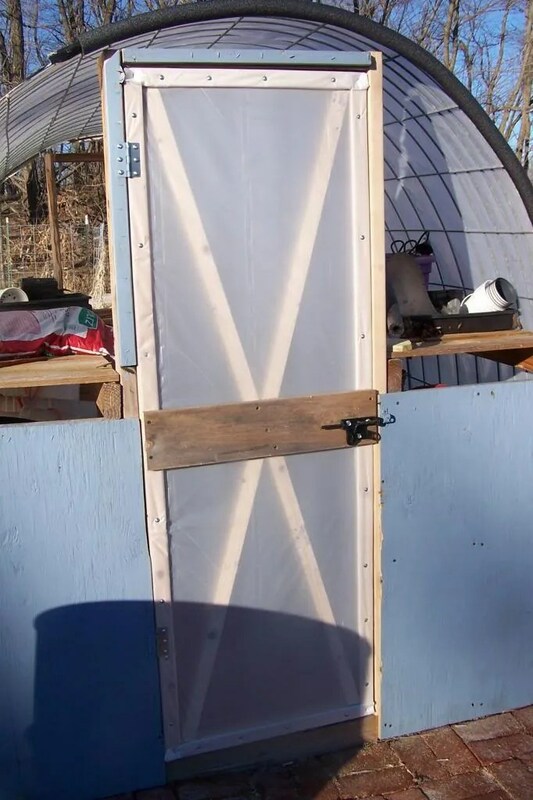 (Here is the link if you’d like to check out the link on how to build an inexpensive high tunnel: http://www.sare.org/Learning-Center/Project-Products/Western-SARE-Project-Products/Constructing-a-Low-Cost-High-Tunnel. There is a PDF file that goes a long with it with a materials list and what not). I love this idea, I’ve seen a lot like them and we often think about putting something like this up for year round gardening. For the moment however, our little greenhouse is more than sufficient. At any rate, they cut their plastic larger than the opening and rolled thin strips of lumber up in them and attached with screws. I think we had thought about doing that last year and we did along the bottom frame but ended up not on the upper portion. I’m convinced the strips are the answer. We also cut a diagonal to go from the door frame to the top of the shelf just as a additional location to attach the plastic (not installed yet). It’s not needed for structural support. Hopefully this fix will last us a few years. We never did get to the wood pile and the greenhouse isn’t completely put back together but hopefully after just a couple more hours and I’ll be ready to start seeds. Lots of other little tasks were completed though and I am grateful for that. The weekends pass by so quick and particularly this time of year, the weather can make or break it. This spring-like weather has me feelin’ the spring fever. I think it does for a lot of people but there’s still a lot of winter yet left. Seeds still need to be planted soon though and it’s nice to think about spring being on its way anyway! Yesterday’s task was to get the incubator ready for another brood. After a dreadful 0% hatch rate on our first try last winter, I came across a “dry” incubation method that has worked well for us and our hatch rates are getting better and better! Our 4th hatch last fall was 80%. Our routine varies a little from this method. Depending on time of year, we add more water than recommended to the bottom of our incubator as our humidity can often be as low as 20-30%, particularly in the winter. I make foil shallow bowls to place in the lower portion of the incubator and fill these with water close to hatch (day 18 to hatch). The additional surface area these bowls provide works out better than the built-in deeper troughs at getting the humidity up and maintaining it. I do leave both of the vent plugs out until day 18. On day 18 I remove all eggs from the egg turner and place them on the wire rack laving a little space in between them. I replace the red plugs in the lid and place a very shallow bowl of water on the wire rack along with a sponge so any hatched chicks will not drown. This water is in addition to the foil bowls in the lower portion of the incubator and the one I add warm water to if needed if the humidity gets to low. If the humidity raises too much I remove one plug. If it drops too much, I flip the plug so it just sits on top of the lid but I can use it to partially cover the vent hole. I also remove chicks soon after they hatch. I know, I know, most say not to. However, I find the incubator becomes really smelly and disgusting by leaving newly hatched chicks, shells and fluid in with all that heat and humidity waiting for the other chicks to hatch. Not to mention it takes the chicks 3 days to properly dry off and fluff up when left in there more than a day or so once removed to the brooder. If I remove them shortly after hatching to a brooder, they fluff up within hours. To combat loosing too much humidity, when I open the incubator, I put a semi-hot rag in my water cup. The steam helps maintain a good humidity level. I also do not lift the lid off entirely. I am as quick as possible, taking one out at a time, letting the humidity regulate before going back in. Additionally, the hatched chicks move the unhatched eggs around too much. There have been times where the heat was tampered with and it got as hot as 107 in the incubator. I haven’t noticed this to have an affect but I cannot say for sure how long it went unchecked. If I had to guess, I’d say less than a few hours which may not have been enough to heat up the egg internally to 107 anyway. I won’t speculate to say what is okay and what may not be. All I can say is don’t give up on your eggs if your incubator fell too low or went to high, give them a full 25 days and see what happens. We have a Little Giant still egg incubator with an automatic egg turner. I bought an inexpensive thermometer/hygrometer at Walmart. I wish I had something digital or easier to read and the thermometer is a pain but I stick a meat thermometer in through one of the top holes and that does the job. It’s pointy at one end so I am careful to keep it away from the eggs. Having the hygrometer inside the incubator is the main goal I am after. I cannot incubate the full 41 eggs having the style of hygrometer/thermometer I have, but those hatches are way too big for what I need anyway. I place the thermometer in a strip of egg turner that will not have eggs in it. Setting it on top has proven to break eggs. The 6 Cornish Rock hens we spared from freezer camp last fall are laying BIG beautiful eggs. Thanksgiving Day while all the chickens were going into the coop for the night, one of the hens laid her first egg, the shell being pretty thin however. I found a few more of those and a shell-less egg or two but another few weeks and they are giving us these gorgeous eggs. Three of these eggs made one very large fluffy omelet for Jeremiah and I to share this morning. 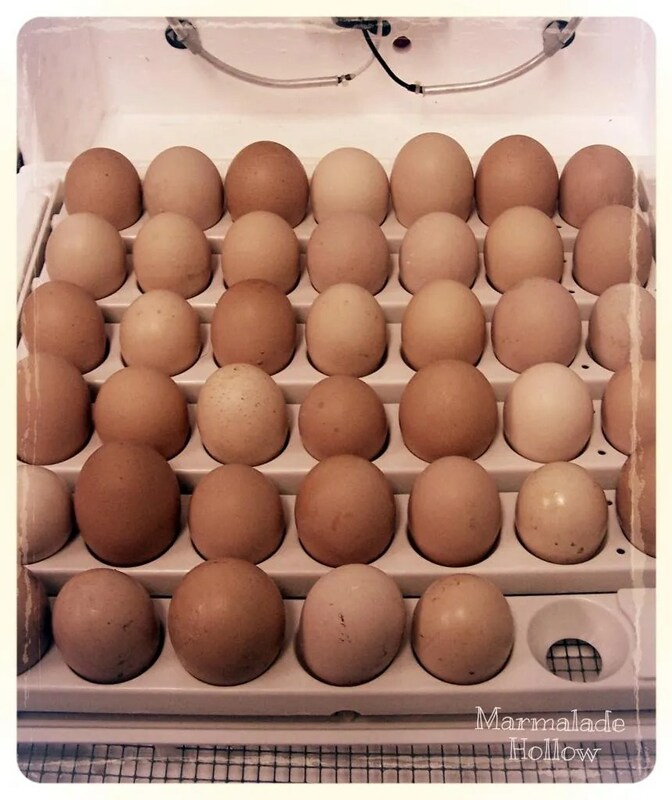 At 5 months old they laid sooner than any of the other chickens and by 5.5-6 months old, they are laying much larger than pullet size eggs. The lay rate is still too early to tell. Everyone’s production is picking up some with the lengthening of the days so I am eager to see how they do. 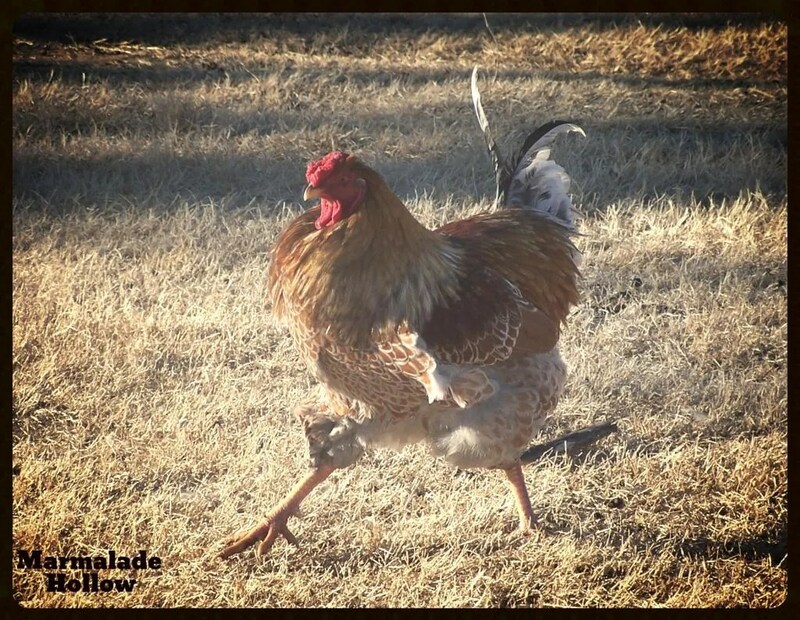 A few of the more recent online forum posts I’ve come across from others on these birds have said the hens they raised were great layers. The feedback I had read last spring overall wasn’t the greatest but given our experience with them last summer, I was kind of perplexed. I was reluctant to begin with to even get them wanting to opt for Freedom Rangers instead but we decided to try them first and see how we liked them and if we didn’t, we’d have enough time to raise up some Freedoms for our second batch. The two batches of Cornish Rocks we had foraged really well, we had no issues with legs or hearts, no unexplained deaths, etc. and now our 6 month old hens are laying. How exciting! We’re beginning our bee keeping adventure. The hives are being started in February (made locally) and we are researching in depth all about bee keeping and ordering! I’ll be keeping running tally of some of the websites I have found that have been helpful in our research and I’ll update as I sift through information out there. Bee keeping is so fascinating to us. I feel like a kid in a candy store with each new website I visit. There’s so much to be decided on, so much to learn, so much to think about, so much to pick brains about =). This is by no means an all inclusive list, just a few sites that I have bookmarked. I was thinking on what one of the guest speakers at the Mother Earth News Fair in Lawrence said back in Oct. While some may think that the “country” would be a great place to raise bees, often times it may not be. Lack of flowering plants & trees (with flowering trees in particular making up a HUGE portion of a honey bees diet if given the opportunity) make them especially great for cities and towns, however. That said, I got to thinking about what we may have here within a 1-1.5 mile radius (what was said to be a bee’s territory). Alfalfa fields? Probably. Natural pastures with flowering plants? Yep. Gardens? A few, particularly our own (though I doubt it’s big enough to support a colony over a period of time). Fruit trees? More than likely (our own included). Trees? I got to thinking…our overabundance of black locust trees bloom heavily in May-June (when we don’t get a late April ice storm like in 2013, that is!). That got me looking for black locust trees (which are quite different than honey locust) and I feel like I hit the jackpot! While not always a very strong producer every single year, much like fruit trees continually have an ebb and flow harvest, it seems black locust make some outstanding sought after honey! Cha ching, Lordy knows the amount of black locust trees around here could keep us in firewood for decades without needing to reproduce. But reproduce they do, well…and quickly! Not only are they great for honey production apparently, but because they are a legume (like beans and alfalfa and clover) they affix nitrogen in the soil. They also reproduce easily by sending out shoots (like Bermuda grass) and sometimes in some very unwanted places (like my garden or the middle of the back yard)! That said, we haven’t found they do extremely well in the weather, they can break easily, probably due to the fact they grow very fast but they do make great hard & hot burning firewood and we’re happy to have the quick renewable resource at our disposal. 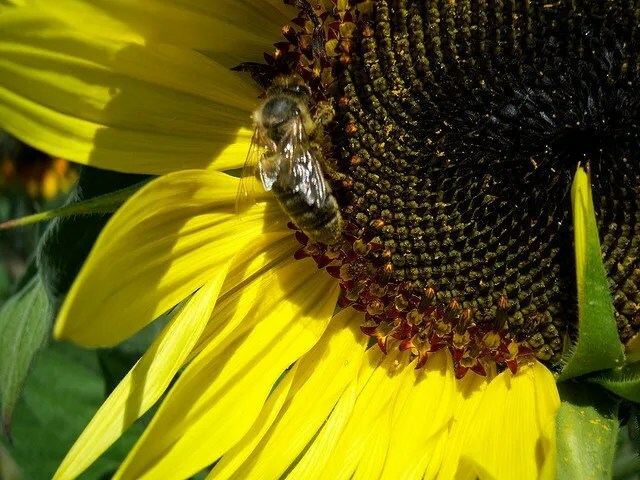 Let’s hope they help make some healthy bees too! One of these days soon (a nice sunny day!) we’ll take a drive as the crow flies 1-1.5 miles out as best we can and put our honey bee caps on and try to see the world through their eyes. Now it’s time to get back to the world wide web and research hives and hive plans a bit more before sending over thoughts and blueprints over to our hive maker(s) so we can be ready come April-June for bees! Home sweet home. It’s fun to travel but sure is nice to come home too! The trip to California was amazing, as always. The drive is so different every time, particularly in winter which can make for last minute changes in travel plans. We try to vary our route so we see something different each time and leaving later than we had originally planned due to weather here in Kansas on Saturday left few options than a more direct path to be there in time for Christmas. The pup traveled really well and had more training walking on a leash along the way. He was delivered to a delighted friend on our way down the hill to Lincoln. He was sure great to travel with even in the hotel rooms which are so much different than a barn. It takes a lot of reassurance along the way to keep them mentally healthy and keeping the cab cooler to keep them psychically healthy does not always make for a warm and comfortable ride for the humans. We visited with company and neighbors and friends and took drives to some of our old “stomping grounds”. I miss it in some ways but there’s much about Kansas I like too. The grass is greening up back in Ca. and the spring bulbs are starting to poke their heads out of the ground! We came home to snow and semi-bitter temps. 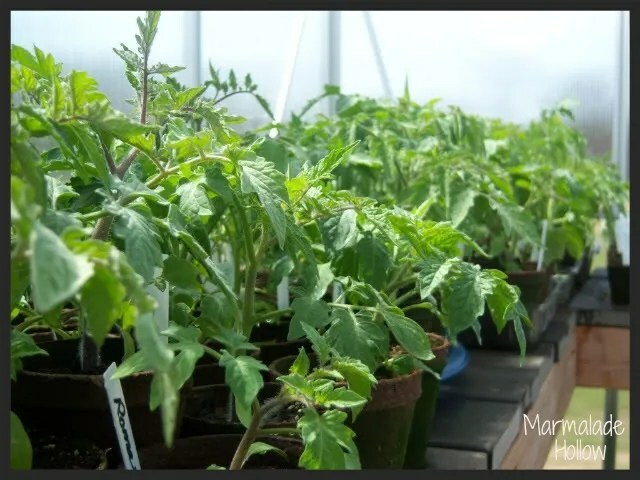 My Mom and I exchanged some veggie seeds and I am just about all set for spring planting here which with the green house can start in about a month! 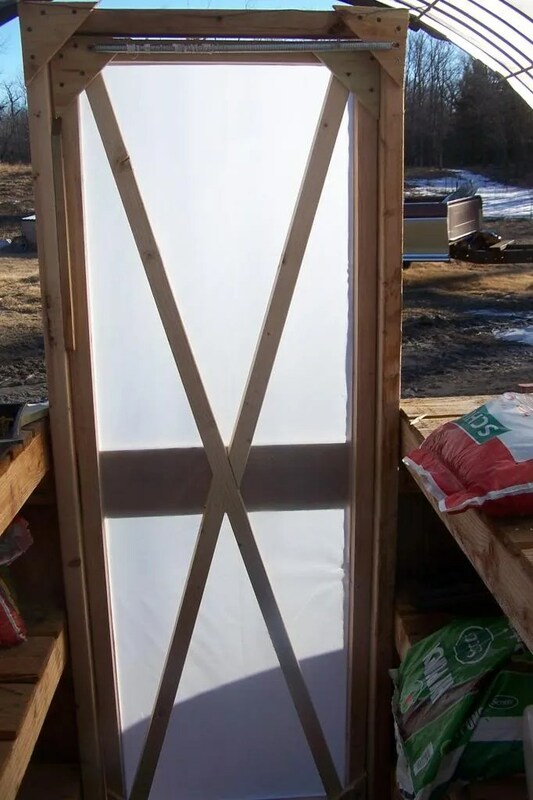 I have a few large windows too that I will be making into cold frames. I dug up a bunch of first year blackberry vines to transplant here in Ks. Super excited to get them in the ground. We mulched their roots down well with damp sawdust and wrapped them in a bag, just like they would come from the nursery. These would have cost me a fortune to buy them in the spring so I am thankful these were free and they came from “home”. We will need to replace a couple of the fruit trees in a month or so when the new stock is in. That late ice storm in April 2013 really deadened some wood on some of the young trees enough that a few couldn’t recover. They came with a warranty thankfully which I originally thought was kind of silly to offer but not so much so when they need to be replaced =)! The weather fluctuated in Kansas a lot while we were gone and I think most of the snow melted on the days it was warm and sunny but I don’t think there were many of those days. It snowed again the night before we pulled in and there are places that are a bit icy. All of the animals look fantastic and we’re so thankful to have great neighbors who feed and care while we are gone. The pigs apparently made an escape and helped themselves to a few barrels of food in the barn. I moved their electric fence before we left and either the somewhat deep snow shorted it or they were rooting around one of the posts a lot and a post fell over (taking the wire to the ground and shorting it). Either way, my fault. They don’t normally get so close to the fence but one of the new areas that was opened up was a rooting heaven from the looks of it. I should have known better. Jeremiah and I spent a couple of hours yesterday re-installing a lag bolt for the gate they lifted off its hinges. We use the cheapy poly-wire electric wire within a pasture to rotate them within it and keep their access smaller than the 1/2 an acre pasture. They didn’t have access to the walk through and drive through gate into the barnyard being behind the poly-wire and we don’t install the gates correctly technically, we install them for ease of removal (by just lifting them off if we need to). The upper lag bolt on the post is supposed to point down and the portion on the gate that receives the pin from the bolt slides up, this keeps animals from lifting the gate off. The goats don’t lift the gates off their hinges. Once the pigs went over/through the poly-wire electric, the gate was fair game. The other 3 sides of their pasture is 5 strand high-tensile electric. Lifting gates off their hinges is apparently easier to deal with. It’s never dull around here! The electric fence wire was partially salvageable but I am not going to reinstall it until spring. How on earth it got so tangled is beyond me! The ground is frozen anyway and I cannot get the posts in so they’ll get the run of that whole pasture and I’ll install insulators along the paneled portion between the pasture and barnyard so they don’t root along the fence line. They sure looked pleased to have such a big area! Speaking of the pigs though, it’s amazing how different things look when you don’t see your animals for 12 days! Ann pig is looking quite rotund, she’s scheduled to farrow Feb. 14 and our first does due are looking ginormous. 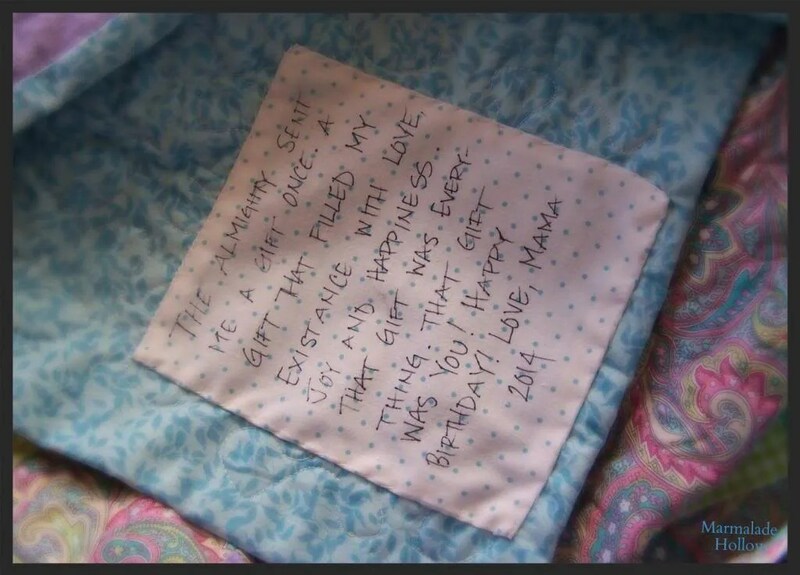 Emmy will be 4 in February 2014, this will be her 4th kidding. After 3 years of nothin’ but bucks, we’re really hoping for a doe this year!Most of the does are bred to kid later when it’s warmer. I’ve taken a break from milking for about 4 weeks. I hemmed and hawed about milking the yearlings who kidded in June through Christmas but decided to dry them off too. I like the little break before the routine starts all over. 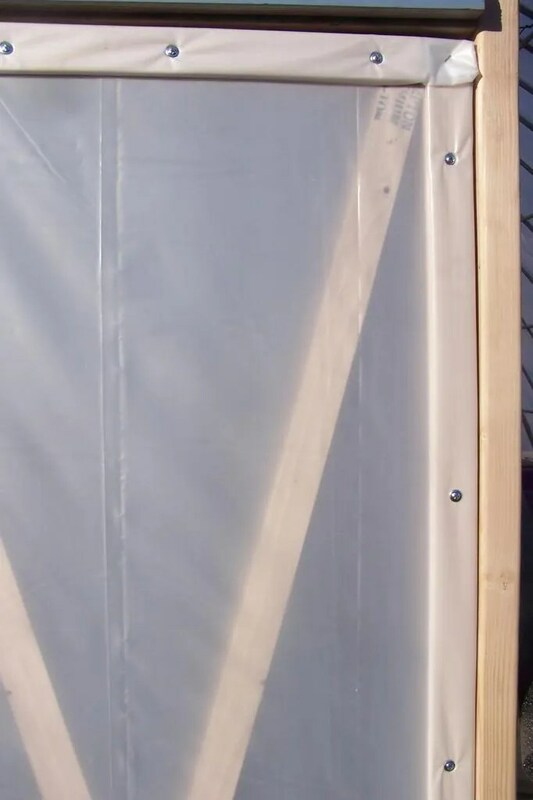 We have plans to expand the garden a bit and put corn and melons in another location and I think we’re going to just go ahead and buy several lengths of electric poultry netting to contain and rotate the layers. Fencing the corn and melon plants at that point may not be necessary though there may be issues with rabbits and racoons once the melons start to ripen, so we’ll have to see about that. The melons were hit and miss last summer taste-wise. I am hoping a little different location and a change of water routine will change that. I don’t think we have plans to travel this summer so I am really looking forward to a big garden. After going across country 3 times in the past year (Ca. twice each Christmas and WV) over the summer, I am kind of traveled out. We have a lot of projects we’re working on/planning and after all is said and done with Jeremiah’s school schedule, he doesn’t get but 5- 6 (staggered) weeks off. Brome fertilization is fast approaching. Every year that we keep up with it, the fewer weeds the grass has t to contend with and the better the pastures look. Not that I think weeds are bad, some are more nutritious than the hay available but we’re trying to get more of what they’ll eat and less of what they won’t. I don’t know that we’ll be able to bale this year just yet. We’re still looking for a decent sickle bar mower but the pastures looked better last year than we’ve ever seen. Course, the rain helped that but over-seeding in brome was a good choice. Our milk barn has been started by the building construction class at the high school. The floor and the outer walls are up. We’ll take care of putting on the metal siding and probably the roofing although the corrugated rubber composite stuff like we put on the chicken coop is really nice and has held up well. We may stick with that, I am not sure yet. The Sept. chicks look more and more like young pullets now than chicks!It’s amazing not seeing them for 12 days. With any luck, they’ll be laying in the next month or two. I still think we’ll incubate a hatch or two and I am eager to see how the crosses that came about from the Sept. home- hatch turn out. Two greys have lacing and are just so so pretty! No idea what cross they were but my best guess is blue laced red wyandotte with one of the other wyandottes, for young pullets they have such a nice plump hen shape! The 6 broiler pullets we kept and didn’t butcher are laying now too, going on 6 months old, still getting around and foraging well. We’ll probably butcher them come spring time when the pullets are laying well but for now it’s nice to have “meat” chickens who are layers! 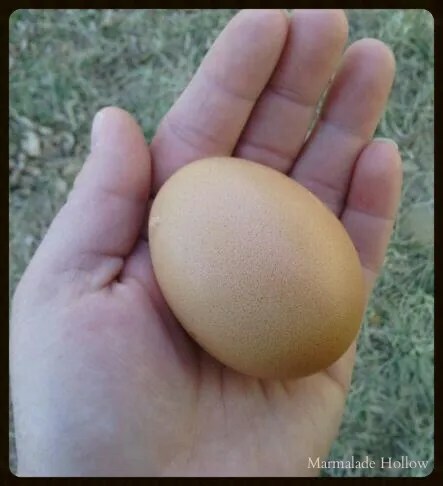 They lay a really pretty dark brown speckled egg. We’re in for some cold temps Sunday, Sunday night and Monday so we made a quick trip out yesterday for more straw for the pigs. I was down to half a bale. Because they don’t have a lot of hair to keep them warm, they snuggle underneath their bedding and it acts like a blanket and they also munch on it as well. Looking forward to new baby goats and new piglets and seed starting. Spring is a ways off but it’s nice to plan for it! Time to end for now. Have a great weekend.